Please invite your friends to be part of this. This is every baseball player’s DREAM!!! 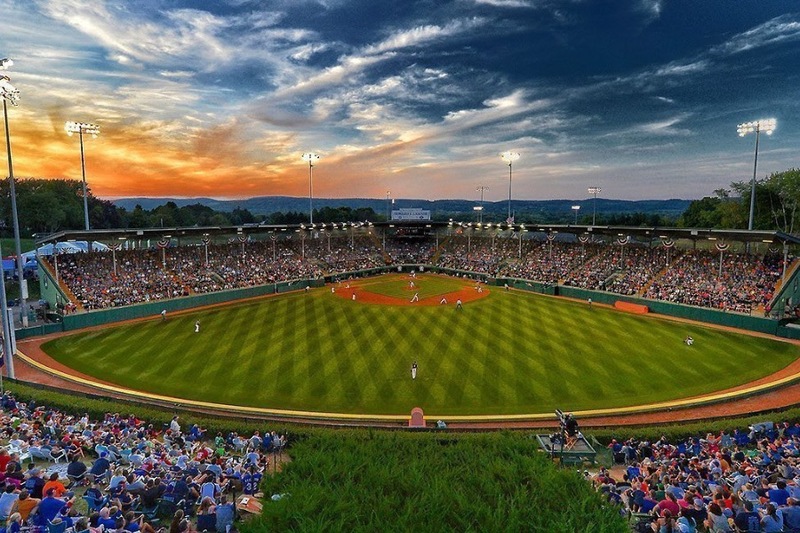 Coeur d’Alene, Idaho - The Coeur d’Alene Little League All Stars will play in the 2018 Little League Baseball World Series beginning this Friday in Williamsport, Pennsylvania. Approximately 7,000 teams started their journey in June and now only 16 teams remain – 8 from the U.S. and 8 from around the world. The last time Idaho was represented in the Little League World Series was 1999 when a team from Boise qualified. Coeur d’Alene is well known for its civic pride and giving spirit. This is a special and unique opportunity to help our neighbors and friends represent our region at this prestigious tournament. Tournament costs are expensive so a fundraising campaign has been created to help defray travel expenses for parents and families. You can donate to the Coeur d’Alene Little League All Star Fund the Families Drive two ways – A Go Fund Me page has been created on Facebook at “CDA All Stars World Series” OR stop by any BankCDA Office to make a donation. Checks should be made out to INW-L & H LLC with World Series Families Fund in the memo line. Donations of all sizes are encouraged. All funds raised will be equally divided between each player. Funds will be distributed by an oversight committee when receipts for reimbursement are submitted for transportation expenses and lodging. This is NOT a non-profit organization. Coeur d’Alene is one of eight teams that will represent the United States. The other U.S. teams are from Grosse Pointe Woods, Michigan; Staten Island, New York; Des Moines, Iowa; Coventry, Rhode Island; Peachtree City, Georgia; Houston, Texas; and Honolulu, Hawaii. This year’s international teams are from South Korea, Australia, Canada, Puerto Rico, Spain, Japan, Panama, and Mexico. The Coeur d’Alene Little League team members are Braeden Newby, Cooper Smith, Chase Saunders, Jake Dannenberg, Chris Reynolds, Cooper Erickson, AJ Currie, Avrey Cherry, Nolan Christ, Kyle Seman, Caden Symons, Austin DeBoer, and Karl Schwarzer. The team manager is Sean Cherry and coaches are Manny Azevedo, Steve Saunders, and Tony Seman. Coeur d’Alene opens the tournament at 1 p.m. (PST) Friday against Gross Pointe Woods, Michigan in Howard J. Lamade Stadium. The tournament is a double-elimination format with teams divided into two brackets – eight teams in the International Bracket and eight teams in the U.S. bracket. To qualify for the national tournament, Coeur d’Alene won its district, state, and regional tournaments. Coeur d’Alene clinched the Northwest Regional Tournament in San Bernadino, Calif. with a 4-1 record and a 2-0 victory over Montana in Saturday’s championship game. The Northwest Regional Tournament is open to teams from Alaska, Idaho, Montana, Oregon, Washington, and Wyoming. The World Series tournament will be broadcast on ESPN. The opening ceremonies are Thursday. and many others who are helping the families of our CDALL team make their way to the World Series tournament and who are providing the accurate oversight, verification of use and transparency of your contributions. How will I assure my donation is used for support of this tournament? The oversight team will review all disbursements made back to eligible family member. A W9 from that individual will be required as amounts over $600 may be taxable income. All funds will be disbursed by submission of travel receipts by September 2018. Any reamining funds will be transferred as a donation from the world series support fund to the CDALL association for future players benefit. No, this is a volunteer group supporting Cd’A families to be able to go to the tournament, and not a non profit organization. What if enough money isn’t raised? Some players will not have family members at the tournament if they are unable to find their own funding. What ever you feel comfortable. We put ourselves in this once in a life time scenario. Could you take a month off of work? Use your savings? Face not being able to share this unique moment with your child?We're just trying to assure the team knows the community is behind them by assuring their family support network can be there to share this world stage experience and represent North Idaho. Can I donate to one player? No. The gross amount collected will be allotted equally between each jersy number. Receipts for expenses will be submitted towards that jersy number until funds are depleted. It is the fair and ethical way to assure the team as a whole is supported. The financial oversight team will assure all funds are used towards travel, lodging, per diem of the respective jersey number account.